By Christopher SheaThe influence of casinos on American Indian politics culture—and American culture more generally—has often been debated. But a new study finds that, whatever its other effects, gaming has improved the health (and health care) of Native Americans. Drawing on data from the period 1988 to 2003, including a sample of 24,000 Native Americans, researchers found that casinos raised household income by $1,750, or 5.3%, on average. And the bump in income translated into improved health:Overall, the results clearly suggest that the exogenous increase in income from casino gaming is tied to an improvement in health, mental health, and health-related behaviors. The largest percentage improvements are for smoking (an average decrease of 9.6%) and anxiety (an average decrease in days anxious of 7.3%). 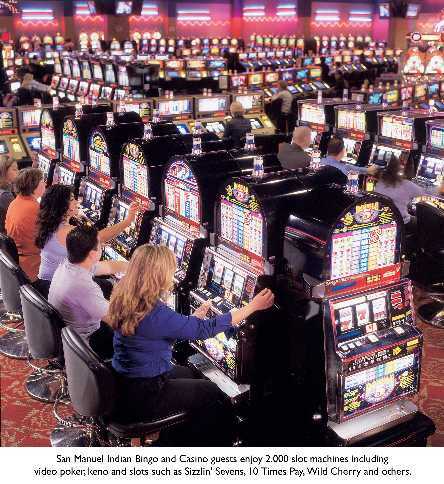 The income produced by casino gaming reduces the probability of heavy drinking by about 5.2%, and those of being obese or overweight, being hypertensive, or having diabetes by between 2% and 4%.An earlier study found a per-household income increase of $6,000 among Native Americans in the Great Smoky Mountains region of North Carolina, as a result of gaming. According to the model in the present paper, the effects of that level of infusion of money would include “reducing the probability of smoking by more than 32% and of heavy drinking by nearly 18%”—and one-fourth fewer days suffering from anxiety. Source: “The Income and Health Effects of Tribal Casino Gaming on American Indians,” Barbara Wolfe, Jessica Jakubowski, Robert Haveman and Marissa Courey, Demography (May)Comment: For more on the subject, see Gaming Saved Billy's Tribe and The Facts About Indian Gaming. In general, money improves your health. You get better access to healthcare, to better food, and you can stay home when you're sick so other people don't get your infection. And if you have the money to start a casino, it's a good way to make more money. Seriously. Someone who wins will think "I won! Moar! Moar!" Someone who loses will think "I can make it back." And that's before you figure in house advantage.